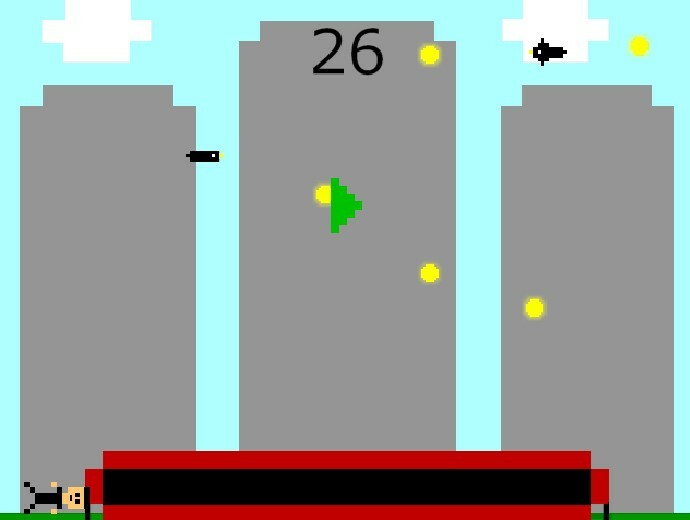 ZJamter by AdrGames is an endless arcade game where you jump on a trampoline trying to collect coins while avoiding the birds. Jump in a trampoline while you avoid the birds and try to catch all the coins you can. The Happy Trampoline is a simple game. 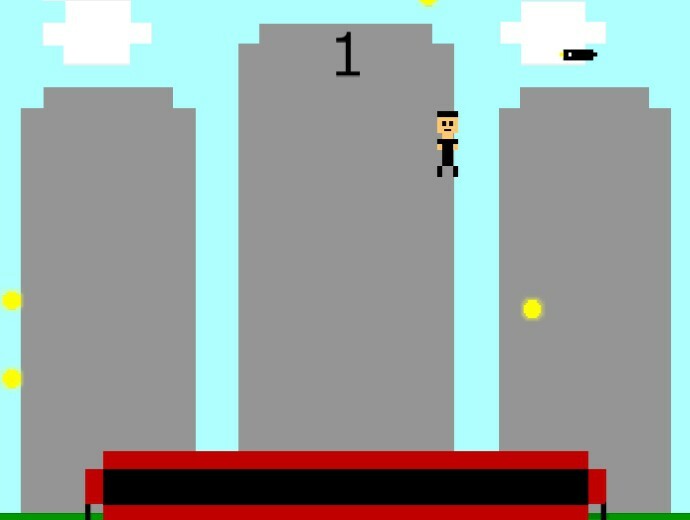 Jump and collect coins, but avoid the flying birds. That's it! With such simple premise, surprisingly the game is quite addictive. You will have to plan ahead on where to land and jump in order to avoid the birds while still being able to collect the coins. If you don't plan ahead, you will certainly pecked by the birds immediately and it's game over. maybe weapons and more enemies? 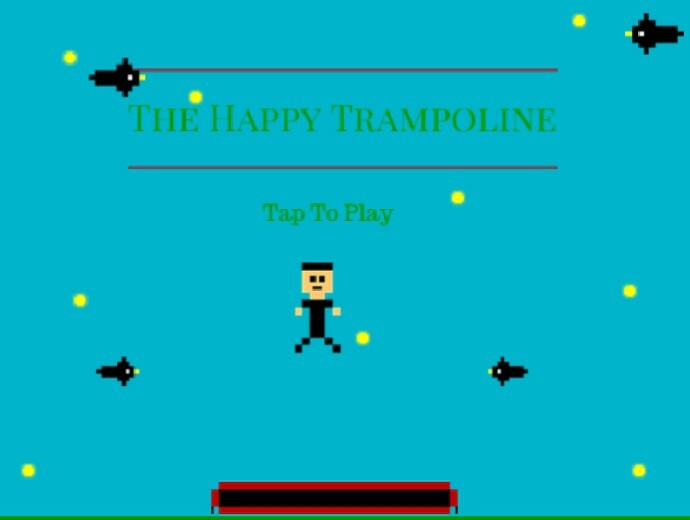 Overall, The Happy Trampoline does need more polishing in order to compete on the app stores. However, I do enjoy playing the game and avoiding the birds!